At Parsons Cafe & Catering we take pride in serving quality foods, incorporating fabulous displays, and providing impeccable service. When ordering from us, each menu choice can be made with confidence. We have a variety of menus that will suit all of your corporate and social entertaining needs. 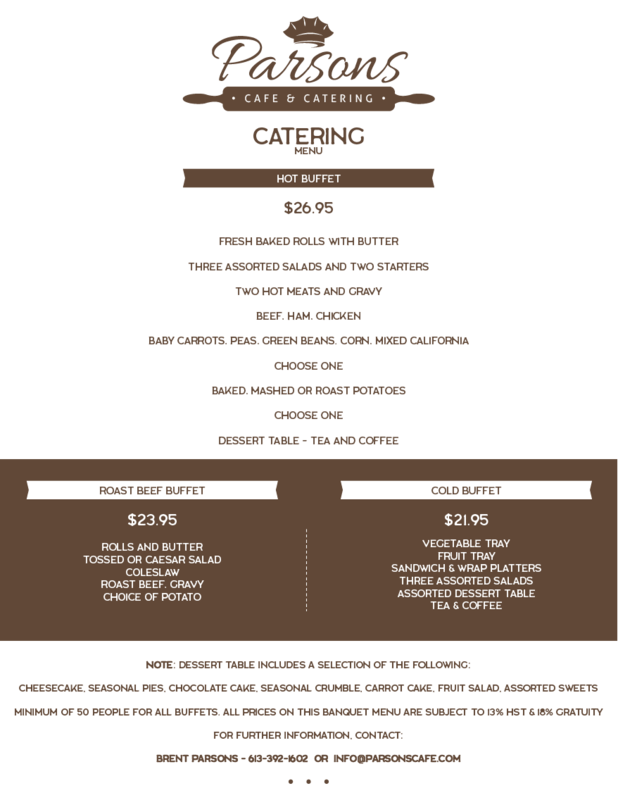 We can also work with you to custom design a menu or party theme tailored to your specific budget and service needs. An effort can always be made to meet special dietary needs.